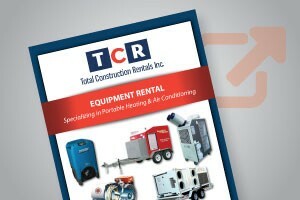 Total Construction Rentals offers Customized, Economical, and Safe Temporary Ventilation. TCR provides pedestal, floor, and high-velocity propeller ranging in size from 24”to 40” with 6,000 to 11,500 CFM. Whether it’s simply moving air down a corridor with a pedestal fan, pushing high volumes of air in a warehouse with a large round floor fan, or quickly exhausting a building with a high-velocity propeller fan TCR has the right solution for your needs. An overview of our services.